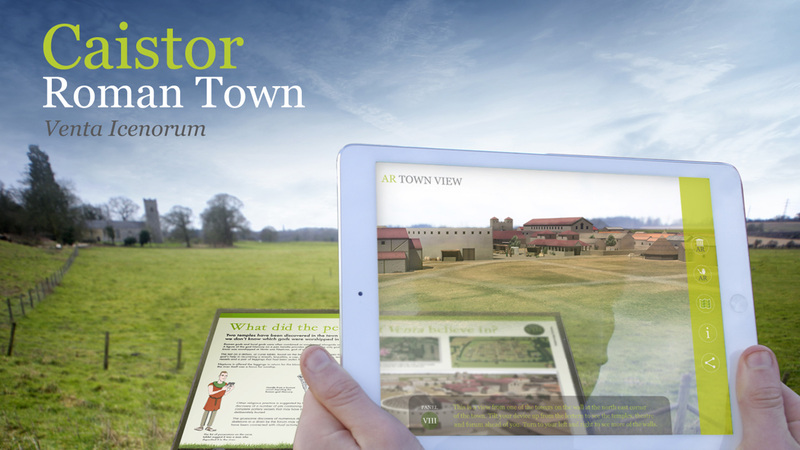 To reconstruct Caistor Roman town in 3D and provide innovative interpretation to help visitors understand its layout on the landscape. Develop a children's theme and activities to help younger visitors explore the site. 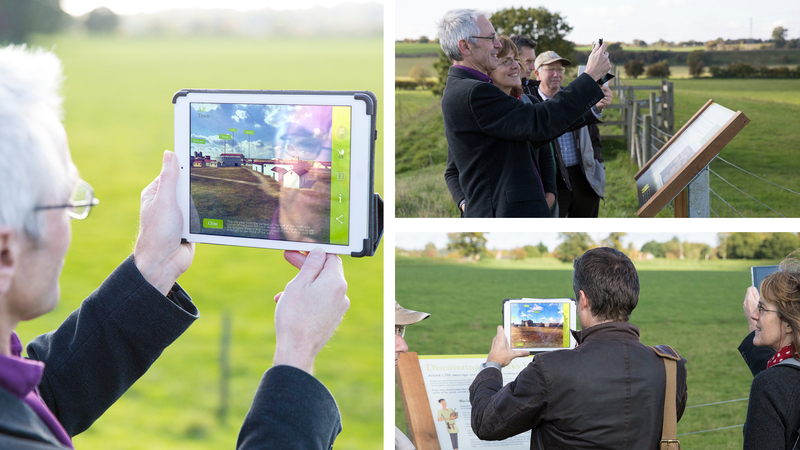 Working with HDC International, we developed an AR app to allow the Roman town to appear on the empty field which conceals its remains. We created accurate 3D models of Caistor, based on geophysical data and research from the archaeological team at Nottingham University. These models were optimised and incorporated into an AR app which was triggered by images on panels placed around the perimeter of the field to allow different views of the town to be seen on the landscape itself. Once each scene had triggered, visitors could move their mobile devices around without losing the scene from view. 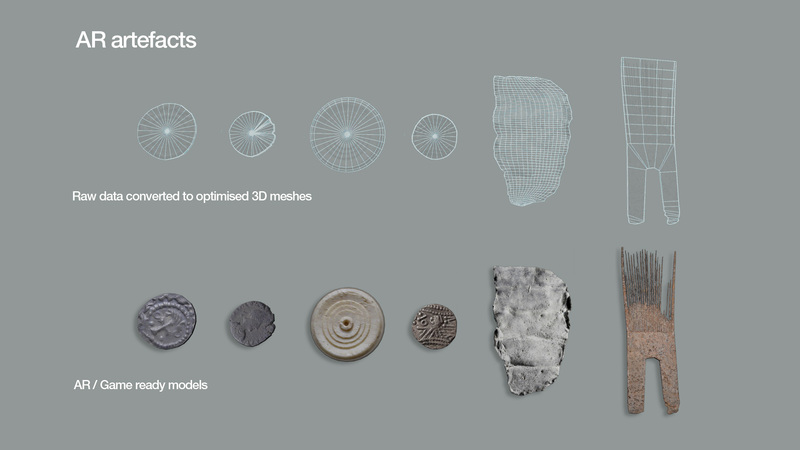 The app also included a virtual artefact treasure hunt allowing visitors to collect 3D artefacts, reconstructed from photographs of objects that had been unearthed at the site and are now housed at Norwich Museum. Once visitors have virtually collected their artefacts they can zoom into them and explore them in more detail. For younger visitors we created Archie and Oli, two animated archaeologist moles who appear with AR to greet visitors with the app when they arrive at the site and tell them what they can expect to see and do. The moles provide children with fun activities to do as they arrive at each panel and also guide visitors in how to use the app to view the virtual town and collect artefacts along the way.